Mr. Ho represented clients in three of the U.S. Supreme Court’s most significant recent class action decisions, and prevailed in all three. See Amgen Inc. et al. v. Connecticut Retirement Plans and Trust Funds, 133 S. Ct. 1184 (2013); American Express Co. v. Italian Colors Restaurant, 133 S. Ct. 2304 (2013); Tyson Foods v. Bouaphakeo, 136 S. Ct. 1036 (2016). In addition to his appellate work, Mr. Ho has also represented numerous clients at the district court level, both supporting and opposing class certification. Mr. Ho has served as lead counsel in numerous appeals in federal and state courts, including the First, Second, Fourth, Sixth, Eighth, Tenth, and Eleventh Circuits. His notable representations include serving as appellate counsel hired by Plaintiffs’ Steering Committees to represent thousands of plaintiffs in several large MDLs. See Juanita Hempstead v. Pfizer, Inc., No. 17-1140 (4th Cir. 2018); Chapman v. Procter & Gamble Distributing LLC, 766 F.3d 1296 (11th Cir. 2014); In Re: Zoloft, No. 16-2247 (3d Cir. 2017) (co-counsel with David Frederick). Mr. Ho has extensive experience in antitrust litigation and counseling. At the Supreme Court, he helped secure victories for his clients in three seminal antitrust cases, Ohio v. American Express Co., 138 S. Ct. 2274 (2018), American Express Co. v. Italian Colors Restaurant, 133 S. Ct. 2304 (2013), and Bell Atlantic Corp. v. Twombly, 550 U.S. 544 (2007). He has represented both plaintiffs and defendants as lead counsel in federal appellate and district courts across the country. In July 2017, Global Competition Review named Mr. Ho, along with his partners Michael Nemelka and Aaron Panner, “Litigators of the Week” for successfully obtaining a rare preliminary injunction on behalf of their client, Authenticom, Inc. In April 2018, citing his extensive antitrust litigation experience, Judge Amy St. Eve named Mr. Ho MDL Co-Lead Counsel in In re Dealer Management Systems MDL, MDL No. 2817 (N.D. Ill.). Mr. Ho has also successfully represented defendants in criminal antitrust investigations by the Department of Justice, helping to obtain rare non-prosecution agreements in two recent cases, and he regularly provides antitrust counseling to prominent U.S. companies. Mr. Ho successfully represented the relators in Universal Health Servs. v. United States ex rel. Escobar, 136 S. Ct. 1989 (2016), which affirmed the “implied false certification” theory of liability under the False Claims Act. The Supreme Court’s decision vindicated Mr. Ho’s prior victory on behalf of the relator in New York v. Amgen Inc., 652 F.3d 103 (1st Cir. 2011). Mr. Ho also has extensive trial-level experience in FCA cases. His work for relators has helped generate more than $1 billion in settlements, while his work for defendants has resulted in dismissal of FCA claims asserting multiple billions of dollars in damages. Mr. Ho has successfully represented litigation finance companies in precedent-setting cases affecting the litigation finance industry. 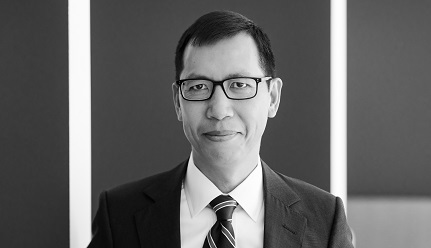 In a string of victories, Mr. Ho helped establish the principle that communications between a litigant and a litigation funder are protected by the attorney-client privilege and/or work-product doctrine. See Viamedia, Inc. v. Comcast Corp., No. 16-C-5486, 2017 WL 2834535 (N.D. Ill. 2017); In re International Oil Trading Co., 548 B.R. 825 (Bankr. S.D. Fla. 2016); Charge Injection Techs., Inc. v. E.I. DuPont De Nemours & Co., No. 07C-12-134-JRJ, 2015 WL 1540520 (Del. Super. Ct. Mar. 31, 2015); Devon IT, Inc. v. IBM Corp., No. CIV.A. 10-2899, 2012 WL 4748160 (E.D. Pa. Sept. 27, 2012). Mr. Ho has also successfully defended against allegations that litigation funding violates state-law champerty and maintenance doctrines. See Charge Injection Techs., Inc. v. E.I. DuPont De Nemours & Co., No. 07C-12-134-JRJ, 2016 WL 937400 (Del. Super. Ct. Mar. 9, 2016). Mr. Ho has deep expertise in trust and fiduciary law (e.g., agency, business judgment rule). His victories include a trial win and affirmance by the Delaware Supreme Court in a high-profile family trust lawsuit. See In re Trust for Grandchildren, No. 1165-VCN, 2011 WL 3444569 (Del. Ch. July 29, 2011), aff’d sub nom. Otto v. Gore, 45 A.3d 120 (Del. 2012). Represented administrative law professors supporting the United States in United States v. Texas, 136 S. Ct. 2271, defending the Obama Administrations “DAPA Memo” from challenge under the APA. Represented U.S. historians supporting the United States and other respondents in Shelby County v. Holder, 133 S. Ct. 2612, defending the constitutionality of § 5 of the Voting Rights Act. Represented political science professors supporting challengers to Michigan’s Proposition 2, which bans state universities from considering race in admissions. See Schuette v. Coalition to Defend Affirmative Action v. Regents of Univ. of Michigan, 134 S. Ct. 1623. Represented distinguished UT alumni defending the University of Texas’s admissions program against Equal Protection challenge in Fisher v. University of Texas, S. Ct. 2411. Represented relator in case alleging that Amgen, Inc. violated federal and state False Claims Acts by causing the submission of fraudulent claims to Medicare and Medicaid for “overfill” amounts in vials of its flagship anemia drug. Successfully defeated multiple motions to dismiss, motion for judgment on the pleadings, and motion for summary judgment. Took numerous depositions. Case settled just prior to trial, resulting in criminal fines and civil damages of more than $700 million. See http://www.taf.org/Amgen-Westmoreland-PR.pdf.